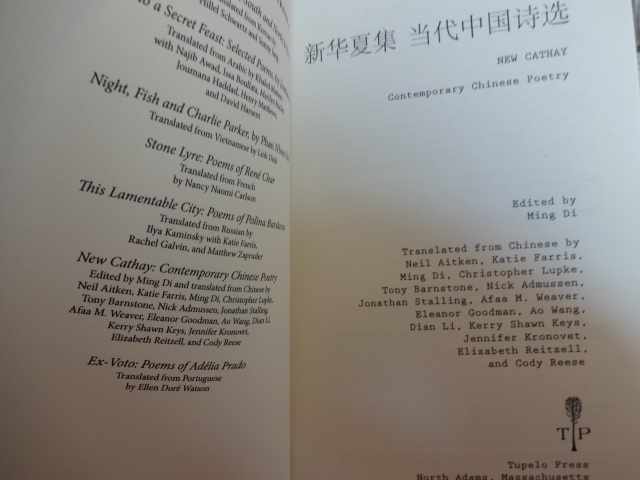 Translated from Chinese by Neil Aitken, Katie Farris, Ming Di, Christopher Lupke, Tony Barnstone, Afaa Weaver, Jonathan Stalling, Nick Admussen, Eleanor Goodman, Ao Wang, Dian Li, Kerry Shawn Keys,Jennifer Kronovet,Elizabeth Reitzell and Cody Reese. 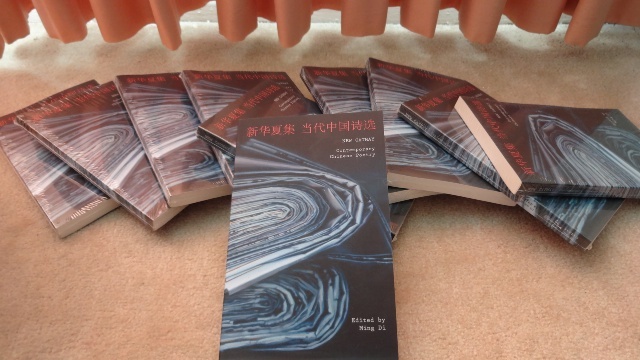 This is not just another anthology of contemporary Chinese poetry. 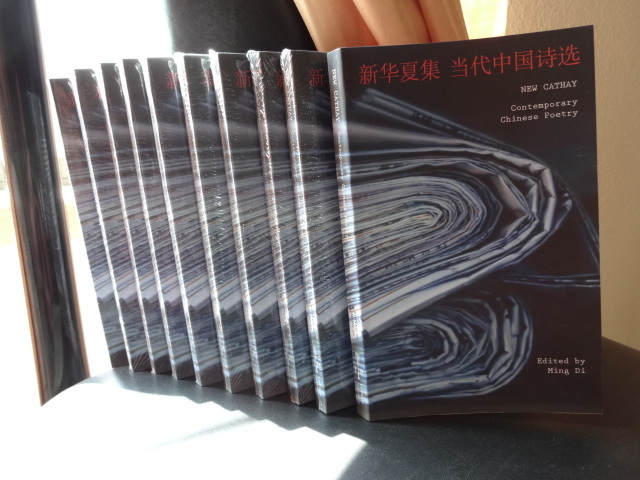 Ming Di and her outstanding team of poets, critics, and translators here introduce the Anglophone reader to the distinctive, complex, and highly sophisticated landscape of recent Chinese poetry. No longer the Misty (or post-Misty) oppositional poetry that depended perhaps too fully on Western forms and modes, the “New Poetry” of what Ming Di calls the “Silver Age” is characterized by a highly original syncretism—at once classically inspired and au courant, at once familiar with Baudelaire and Rimbaud and yet rooted in contemporary Chinese thought and culture. 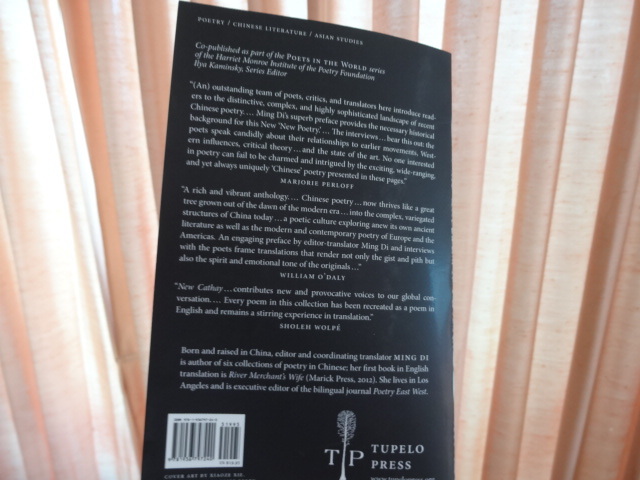 Ming Di’s superb Preface provides the necessary historical background for this New New Poetry, and her introductions are remarkable not only for the information they provide but for an unusual candor: the editor does not claim each of her twenty-five poets is equally successful. 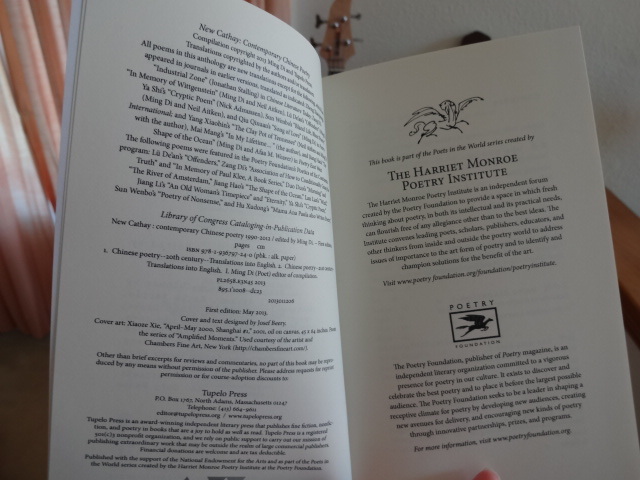 The interviews at the back of the book bear this out: the poets speak candidly about their relationships to earlier movements, Western influences, critical theory today, and the state of the art. 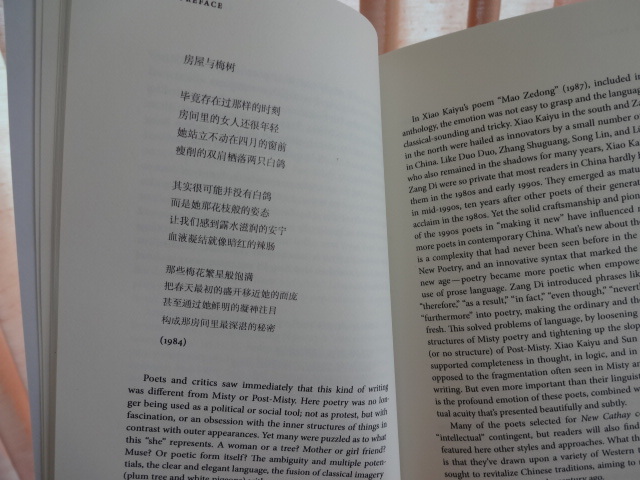 No one interested in poetry can fail to be charmed and intrigued by the exciting, wide-ranging, and yet always uniquely “Chinese” poetry presented in these pages. 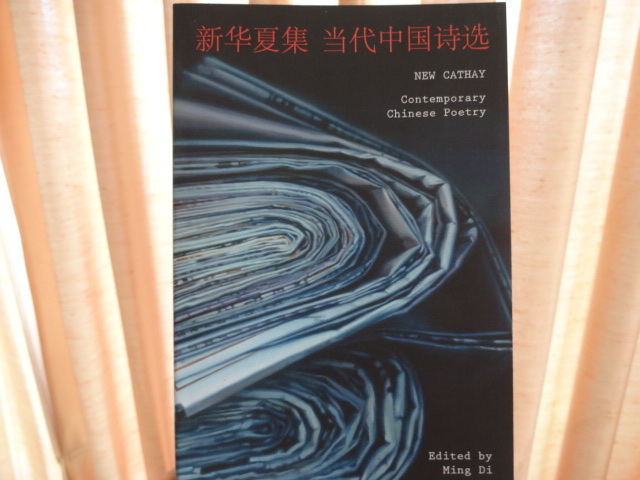 It is time for cultures and people to engage and dialogue through poetry… New Cathay is an impressive collection of contemporary Chinese poetry that contributes new and provocative voices to our global conversation through poetry. 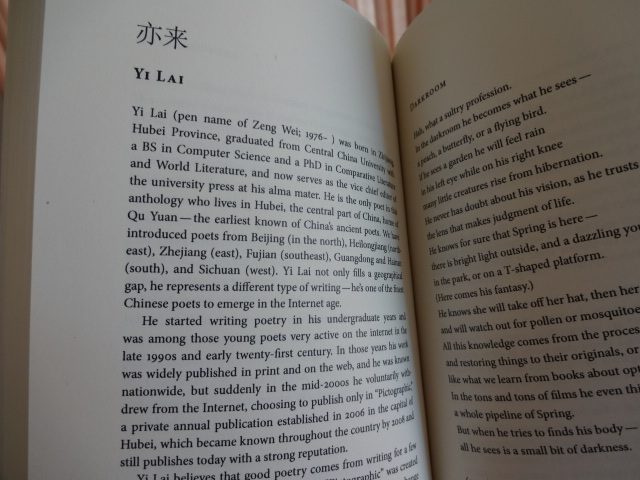 Thanks to Ming Di and her cadre of accomplished poet-translators, every poem in this collection has been recreated as a poem in English and therefore remains a stirring experience even in translation.